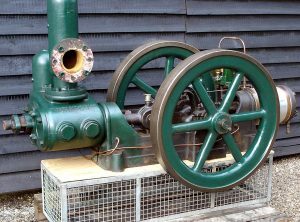 A 2 ½ Inch bore single cylinder steam pump. 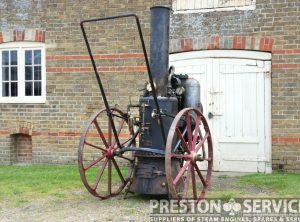 A vertical standing single cylinder steam pump by Joseph Evans of Wolverhampton. 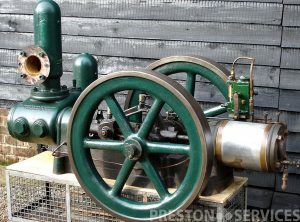 This example worked in a slate mine and is for sale in working order. 5″ x 4″ x 6″ Stroke. 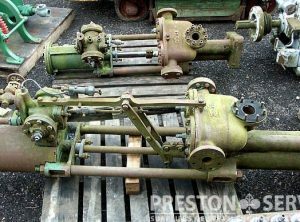 Twin flywheels approx 2 Ft dia. By Joseph Evans of Wolverhampton. 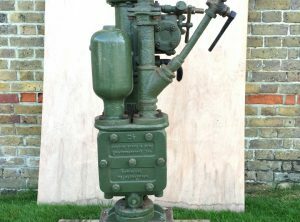 A rare and attractive pump in good condition. 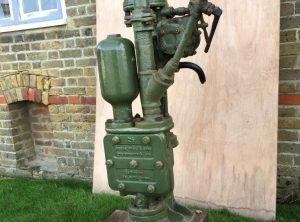 2 units available, unused old stock. 1946 Admiralty spec, in original packing. By J.H. 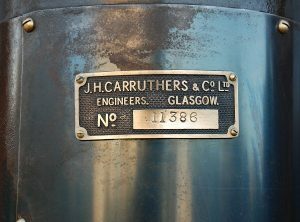 Carruthers & Co. of Glasgow. 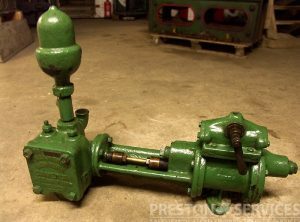 Single Cylinder Approx 5 1/2″ x 4″ x 14″ Stroke. 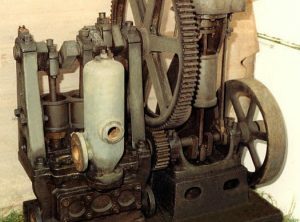 Vertical single cylinder engine, 5″ x 6″. 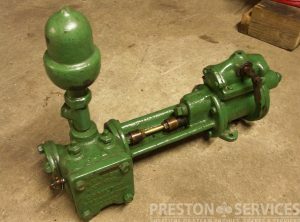 Coupled to 3 ram water pump via reduction gears. Unrestored but in apparent good order. 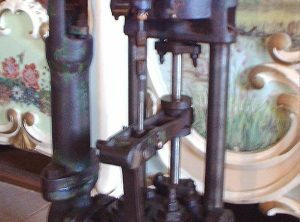 Single Cylinder 3½” x 2¼” x 4″ Stroke. 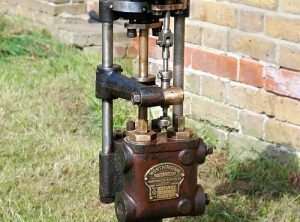 An unusually small vertical pump suitable for a steam boat or small stationary plant. 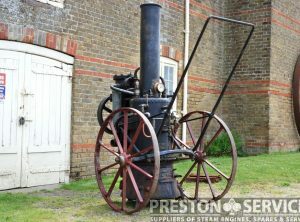 For sale unrestored but in good condition. 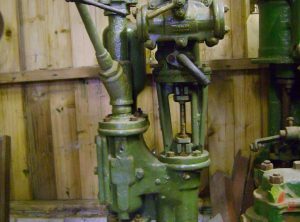 Single Cylinder 2½” x 1½” x 5″ Stroke. The smallest vertical type ever made by Weir? Very rare in this size. 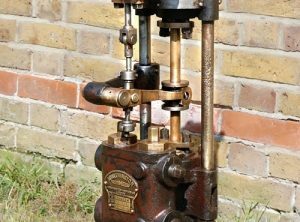 Single Cylinder 2″ x 2″ x 4 1/2″ stroke. 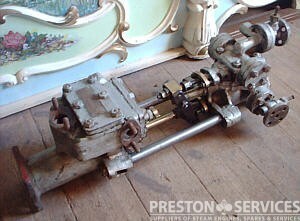 24″ Long – The rare, smallest size of WEIR pump. 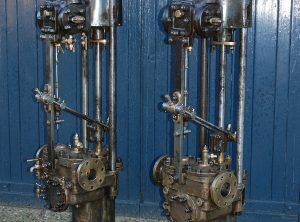 Designed for small marine plant, as used in steam launches, etc. In good condition. 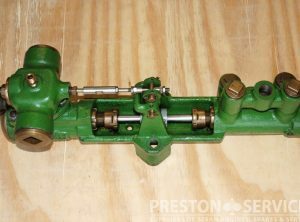 Single Cylinder 2″ x 2 1/2″ x 4″ Stroke. Unrestored but in reasonable condition. By A.S. Cameron, New York, USA. 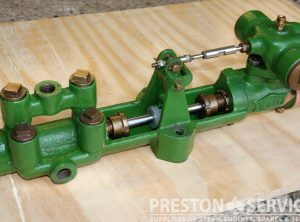 Single Cylinder 2 1/2″ x 2 1/2″ x 4 1/2″ Stroke. Approx 28″ Long x 22″ High.